Well, the kitchen reno is feeling a bit more real because I just ordered our appliances! I decided to go with US Appliance's website because 1) the range we wanted was 500$ less than at Sears, 2) no tax, 3) no shipping. I was really hesitant (and am still nervous) about using the company but read all the reviews people said and other than the fact that they take a long time to get here (3 weeks+), everything seemed fine. Of course, I'll keep you all updated. 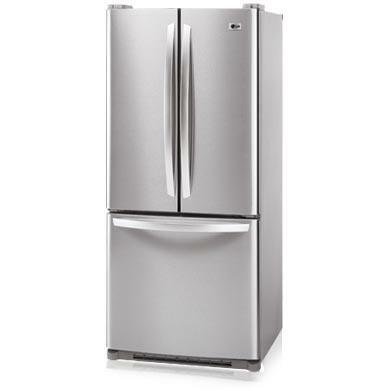 1) LG 30 inch (19.7 cu ft) french door refrigerator - for the space, we needed a french door as to not block access to the pantry when the door was open. But the space isn't too big (in general, the kitchen isn't), so we needed to stay with a pretty small fridge, so the 30 inch was the way to go. 2) Frigidaire Professional Series gas range - we needed a slide in for the new layout and this one was perfect. This range is the whole reason we ordered off US Appliance because it was listed 500$ cheaper than Sears (although I do wonder why..). We also liked this one because the whole front is stainless, like our fridge. 3) Frigidaire Dishwasher - Well, I'll admit I bought this because of the look and price. Again, wanted a mostly stainless front to go with the other appliances. It looks good.